The recent periodic table of iOS apps for AR & VR I created alongside Steve Bambury has been very popular. 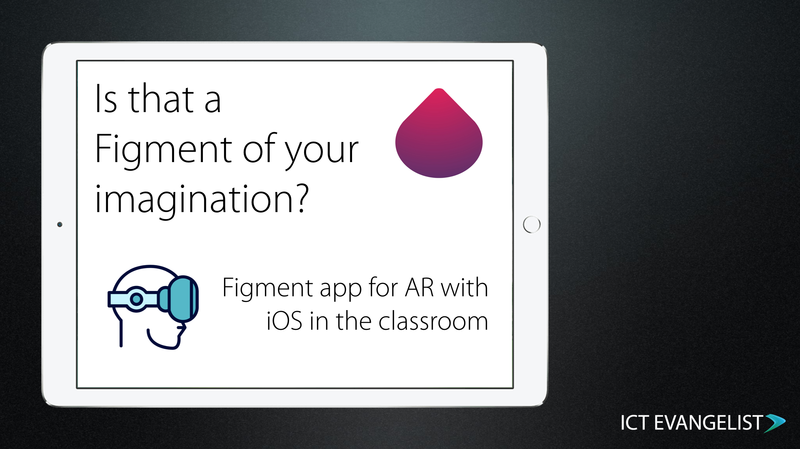 One of the apps that feature on the table in the ‘Story Telling’ section is a free app called Figment AR which is free and suitable for ages from 4+ according to the App Store. Now I’m not one for gimmickry in the classroom and so far this tool could be looking a bit gimmicky. Well, there is one feature in the app which I think is pretty amazing although it is best deployed when you have access to some of your own (or curated if you can find them) 360° images. The feature I’m talking about is the ability to add an AR ‘portal’ into your world in AR. This is a portal that once set, you can walk through to discover ala Narnia’s Magic Wardrobe another world. This is another world that you can add by either choosing one of the 360° images that come with the app or ones you have of your own on your camera roll on your iPhone or iPad. It’s pretty amazing. There are a number of ways in which you could achieve getting your own 360° images on your camera roll. The means that I use is the Theta 360 camera I have that takes 360° images. These images are easily transferred from the camera and can then be used in the app. If you don’t have one of these cameras however there are a few apps that can make this happen such as some of those shared in this blog post. So explain it to me again? In order to work with portals, you will need to have a 360° image ready to use linked to your learning topic. 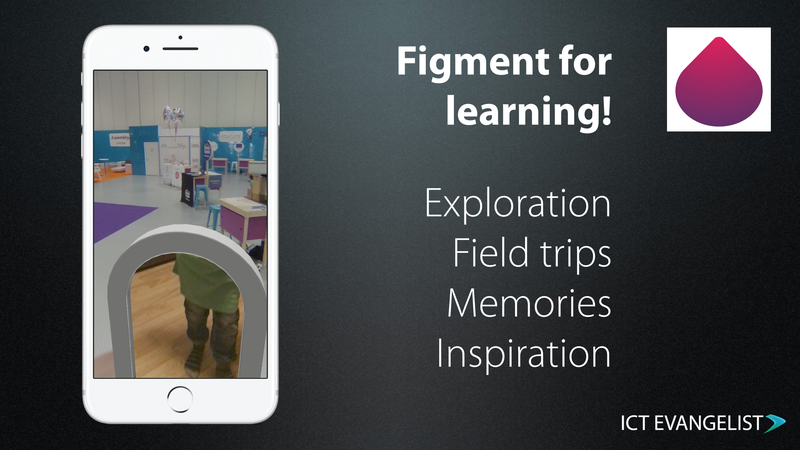 Return back to your classroom through the portal. This idea could be used in so many ways as an innovative and engaging way to tie into a whole writing project along with learning about some relevant and interesting learning materials. Creating 360° images can be time-consuming to create if you don’t have a camera such as the Theta and of course, they would require you to visit the location to take the image too. 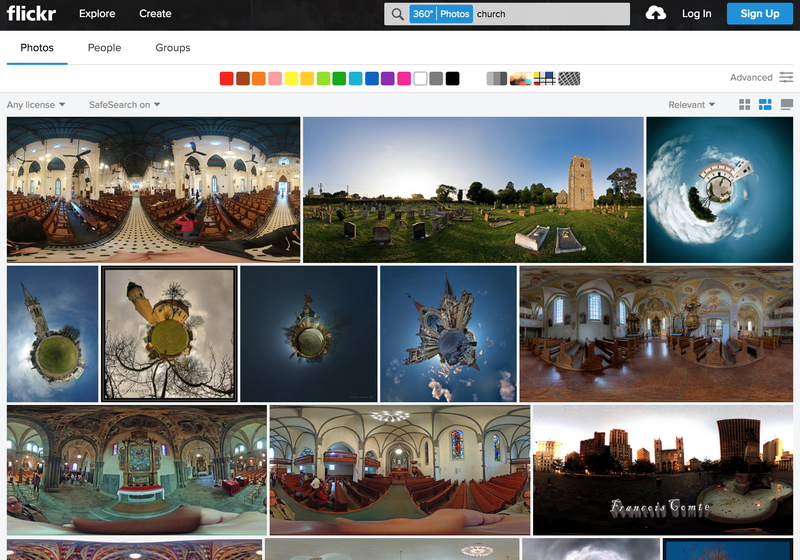 A site such as Flickr and this 360 group can be a great place for you to access 360° images from around the world. There’s an interesting post on a site called ‘kuula’ which shows you how you can take 360° images within games too using a tool available from NVIDIA Ansel too. Minecraft is an obvious use too for children to take 360 photos in order to include these within the app. The process for this is different for different mods but here’s a short explainer on how you can do it with the Quark mod by Vazkii. As with all things, this could work in your classroom or it might not. Why not give it a try though for yourself and see how you find it. Being able to memorise a script of facts about a current topic is a good way to help embed that knowledge into memory so why not give it a go. I hope you found this blog of interest. If you have any comments, I’d love to hear from you below or via Twitter. If you like the ideas here then why not subscribe to my podcast too which you can find here or if you would like to you can work with me too by getting in touch here.